Low carb soup recipes are a great way to keep up a healthy diet plan for several reasons. First and foremost they are very easy to prepare and in no time you will have a tasty meal on the table. Secondly, they can be made with pretty much anything. Follow our low carb soup recipes just like we have written them or get innovative with your own ideas. Preparing soups are one of the best areas you can get imaginative with seasonings, herbs, and spices. I particularly love the versatility of low carb soups. They are easily paired with many other dishes. Whether you choose to have a small bowl beside you, or you opt for a big bowl at the table, soups can add that extra excitement to a rather boring meal. 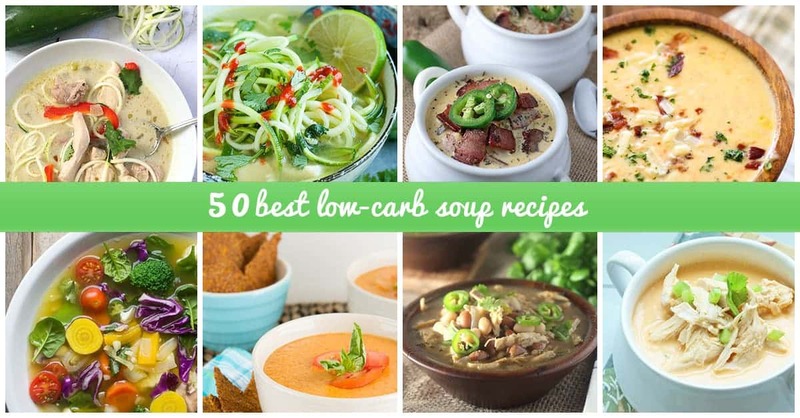 Looking for some awesome low carb soup recipe ideas? Try out or numerous ideas, perfect for lunch, dinner and even as a snack.